PhD position on “Investigation of pentameric ligand-gated ion channels by Voltage-Clamp fluorometry”. 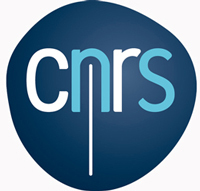 The channel-receptor group of the Institut Pasteur in Paris downtown is seeking highly motivated candidates for a PhD position in electrophysiology to perform structure-function analysis in real time. The successful candidate will be recruited for 36 months funded by an ERC postdoctoral fellowship. The proposed position concerns voltage-clamp fluorometry, to monitor the ion channel gating by electrophysiology concomitant with protein motions by fluorescence in physiological conditions. The project aims at developing innovative fluorescent labeling techniques, involving news dyes or unnatural amino acid, to develop original conformational sensors. It will also involve molecular biology, protein biochemistry and kinetic modeling. Applicants are expected to have a master in biology, biophysics, biochemistry or pharmacology. Previous experience in electrophysiology or voltage-clamp fluorometry, as well as molecular biology or other fluorescence techniques will be a clear asset.